PORTLAND, Ore. – March 31, 2015 –Pear Bureau Northwest announces the latest nutrition research results published in the March issue of Food Research International.1 The study is one of several ongoing projects funded and supported by Northwest pear growers to examine the nutritional benefits of fresh pears. Beginning in 2011, the pear growers initiated a roundtable review of existing nutrition research and began accepting proposals from academic researchers for pear exploration. New research results will continue to be presented over the coming years as the industry continues to invest in gathering pear nutrition knowledge. 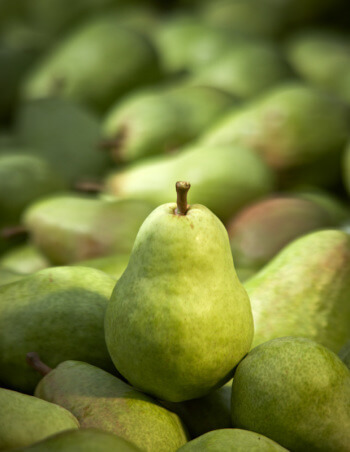 Visit www.usapears.org for additional pear research, nutrition resources, and recipes. Sarkar D, Ankolekar C, Pinto M, Shetty K. (2015). Dietary functional benefits of Bartlett and Starkrimson pears for potential management of hyperglycemia, hypertension and ulcer bacteria Helicobacter pylori while supporting beneficial probiotic bacterial response. Food Research International, 69, 80-90. Barbosa ACL, Sarkar, D, Pinto M, Ankolekar C, Greene D, Shetty K. (2013). Type 2 diabetes relevant bioactive potential of freshly harvested and long-term stored pears using in vitro assay models. Journal of Food Biochemistry, 37, 677-686.